"I feel like I’m part of the history of this country now." 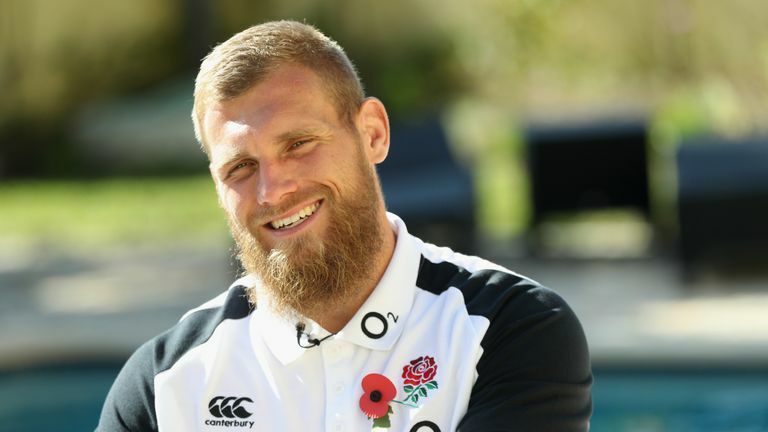 Brad Shields "feels at home" in England's camp but admits he must "bottle emotions" if selected to face his country of birth, New Zealand. The Kiwi-raised flanker had never visited Twickenham prior to this year's autumn internationals, but could line up there against the All Blacks on Saturday in England's second Test, live on Sky Sports. Last November, Shields signed for Wasps for the 2018/19 season and was then selected for England's summer tour of South Africa before playing for his new club. "It was in the back of my mind that once I signed over here it could be an opportunity, a real thing for me," he said of his England call-up. Since then his England colleagues have been "so welcoming", the 27-year-old said, but the former New Zealand U20 representative's loyalties will be put to the test if Eddie Jones selects him to play against the All Blacks this weekend. "For me it's about bottling the emotions and just making sure I'm doing my best for the team if I play and make sure there's nothing individual," he said. As soon as you go individual it's going to let the team down. "As soon as you go individual it's going to let the team down. My sole focus is getting selected for England and making sure I do my role really well." Shields, who as recently as last year played against the British and Irish Lions for Hurricanes, admits there was "a bit of a worry" about how he would be received by England's players. He stopped short of saying he feels 'more English' now, but added: "I'm feeling right at home here. I feel like I'm part of the group, part of the history of this country now. "It makes me feel pretty honoured to be part of something special here." Shields is "not sure" if he will be targeted by New Zealand, but believes he does not need to provide his England team-mates with any added insight. "The thing about the All Blacks is what you see on TV is what you're going to get," he said. "They're a pretty exciting team and love unstructured play. Everybody knows how they play it's just how you crack it. "For us it's about being energised, bringing some heat, some physicality. "It's going to be relentless with the All Blacks, a lot of teams stay close for 65 minutes but it's that last 15 minutes teams have to crank up - otherwise two tries can change a game completely. "The focus for us is going to be playing 80 minutes and just doing what we do well."